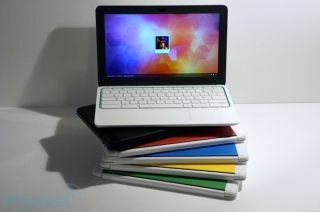 More and more schools are realizing that Google Chromebooks are the answer to updating outdated schools. Unfortunately though, in many cases they are making purchases for large scale deployment with little investment toward preparation for implementation issues or knowledge of where to turn to connect with others who have had experience in Chromebooks (and Google Apps for Ed) deployment. That’s where learning networks come in. Fortunately there is an experienced online community available to support others venturing into this world. The Google+ community for Chromebooks, Chrome OS, and Chrome browser in EDU. GEGs provide a geographically based platform for educators to collaborate with others who are using Google and live in your area. Activities take place both online and offline. Online GEGs provide a space for educators to discuss together and learn through Google+; offline, locally run events and workshops are a way to learn and share face to face. Intel Education’s community for teachers engaging in innovative practices with Chromebooks, tablets, and 2 in 1 devices. Microsoft’s 1:1 hot topic in their Partners in Learning (PiL) community. Join a “dream team” of practitioners from around the world who have designed and/or taught in 1:1 classrooms and schools and will be sharing their ideas and thoughts. The Chromebook EDU Consortium brings custom learning solutions to schools deploying Chromebooks and Google Apps. We are passionate about your success in deploying Google solutions for academic achieve and deliver a range of professional development paths. Have you deployed Chromebooks in your school or district? If you have, do you use any of these networks? What was your experience? Where else do you turn for support?